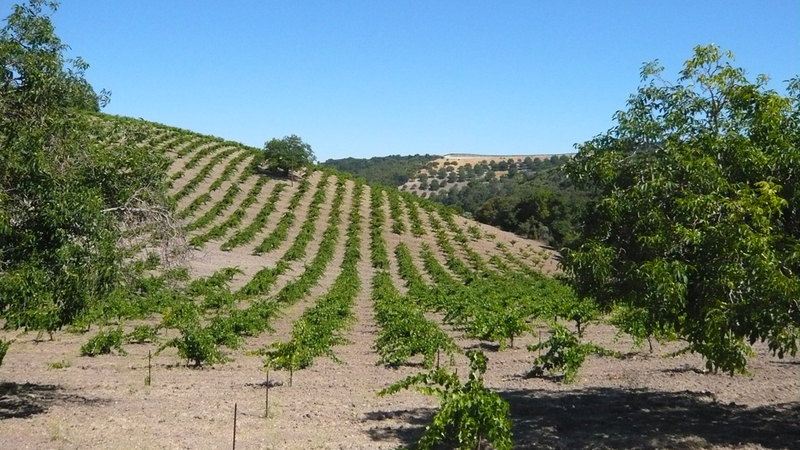 Readers who follow the Paso Robles wine scene hardly need to be reminded that the region, which is historically dry in the first place, suffered through a long-term drought that drastically curtailed production in 2015, 2014, 2013 and 2012. That has not stopped quality from surging to new highs. Two thousand fifteen, the vintage that dominates this year’s coverage of new releases from Paso Robles and neighboring areas, was another struggle, quantity-wise, for all of the region’s growers and winemakers. A number of producers that I visited in July told me that they bottled as much as 60% less wine than average, which isn’t far off from the previous three vintages. It doesn’t take an economist to tell you that production that low takes a financial toll, especially on the small high-quality producers who have brought Paso Robles its recently won fame as a world-class growing region. Fortunately, 2016, an El Niño year, brought closer to normal rainfall, but everyone I spoke to in the area wished that there had been more. Weather conditions in recent vintages – notably warmer springs that have resulted in early budbreak and accelerated growing cycles, not to mention small fruit loads from drought-stressed vines – have steadily moved up the average start to the harvest. In 2016, for example, most producers began picking during the third week of August, which was a week later than in 2015 but still almost three weeks earlier than was normal in the 1980s and though most of the ‘90s. The silver lining for growers is that what (little) fruit is being produced today is impressively concentrated, which is resulting in more densely packed, intensely flavored wines than ever before, even if there’s a lot less to go around. As I tasted my way through the 2015s, many of which were still in barrel or tank in July but were bottled in time for me to revisit them in finished form in October, I often had to remind myself that these were hot-year wines, such was their liveliness. 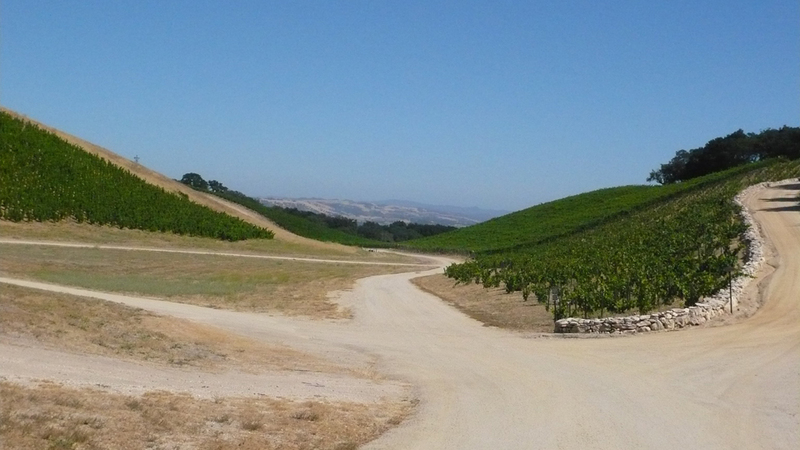 Then again, weather on the west side of Paso Robles, which is where the preponderance of the region’s best wines are grown, is strongly influenced by the nearby Pacific Ocean and features some of the widest diurnal shifts of any New World wine region. Hot days (and they can get brutally hot) predictably give way to very cool, often windy nights here, meaning that well-tended vines can produce fruit that’s at once ripe and fresh, yielding wines that show an often startling interplay of richness and vivacity. Moreover, as producers have become more attuned to the drastic weather conditions of recent years, they’ve become more attentive – and more experienced – farmers. In fact, it’s the rare winemaker here nowadays who doesn’t talk more incessantly about work in the vineyard than about what he or she may have done in the cellar. 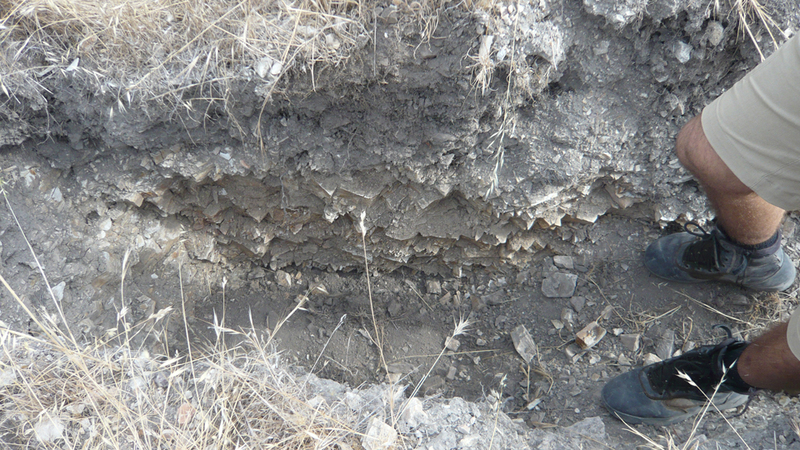 The 2014s, a number of which are also covered in this article, are the result of a year that started with a warm, dry winter and a very early budbreak in the third week of February. The weather stayed warm through the spring and summer but with no dangerous heat spikes, which set the stage for the earliest harvest ever recorded. The ‘14s generally possess sound acidity because of the early harvest and, as a group, are showing somewhat less extroverted character than their 2015 siblings, and good balance for positive development in bottle. On the subject of wine longevity, many of Paso Robles’ large-scaled, high-octane red wines from the last decade appear to be evolving very slowly, thanks in great part, I suspect, to their enormous depth of fruit. It simply takes a long time for wines of such concentration to unfurl, much less fall apart, but it’s still early days to know just how much complexity these wines might attain with cellaring. A track record simply doesn’t yet exist, although recent bottles of 2010s from Saxum and Torrin were extremely youthful, even if seven years isn’t most peoples’ idea of “aged.” To put it another way, will these wines ever truly mature or will they simply endure? Most fans of collectible Old World wines have traditionally cellared their bottles in the hope that time would bring on mellower and more complex secondary and tertiary qualities while their primary fruit character recedes. While I’m hopeful that the best Paso Robles reds will do just that, based on their concentration, structure and, yes, balance, I also think that we’re still a good decade away from making anything close to a definitive call on this subject. In an ironic twist, winemakers in France’s southern Rhône valley, who have been the inspiration (and, in the case of pioneering winery Tablas Creek and Château de Beaucastel, partners) for most of Paso Robles’ most successful producers, have been dealing with crazy, mostly hot and dry conditions of their own over the last several years. The secret weapon that they have long had at their disposal is a polyculture of vine plantings, with early-ripening varieties planted alongside later-ripening ones, which gives winemakers a measure of ability to alter their blends in a given vintage to compensate for over- or under-ripeness of fruit, insufficient or excessive acidity, overt or diminished tannins, and so forth. And that’s precisely where forward-thinking Paso Robles growers started going a decade or so ago. Today, many of the best wines from this region are a veritable cocktail of Rhône, Spanish, Bordeaux and often obscure French (Terret Noir, anyone?) varieties that give winemakers greater flexibility in handling today’s bizarre and unpredictable weather conditions, especially heat. Counoise, which produces relatively high-acid, low-sugar fruit with gentle tannins, is a new darling on the block and the popularity of Mourvèdre is on the upswing as well, thanks especially to its ability to add tannic structure to super-ripe Grenache. It’s no accident that Mourvèdre plantings are increasing in many of the best Châteauneuf-du-Pape vineyards lately as well, given the region’s reliance on high-sugar Grenache and the desire to bring more backbone to the wines. The thick-skinned Tannat is also enjoying a surge of popularity with the cool kids (and even some of the old geezers) in the Paso neighborhood for its ability to add tannins while maintaining a refreshingly low pH, as in well under 3.5 and often closer to 3.3, which is the territory of cool-climate Pinot Noir from the Old World. Every time I visit Paso Robles I’m pleased to see fewer and fewer small oak barrels, especially shiny new ones. The best winemakers have become keen on making wines that favor elegance over brute force and they’ve been experimenting – and often going all-in – with low-impact wooden foudres, concrete eggs and, especially, large-format barrels that allow for slower, gentler aging of wines than is possible with standard barriques. That trend is accelerating at a rapid pace and the positive results speak for themselves at wineries such as. Among the most well-known, forward-thinking wineries that I visit regularly in Paso Robles who have been working with vessels such as larger barrels, concrete tanks and eggs and amphoras are Law Estate, Denner, Epoch, Linne Calodo, Saxum and Villa Creek. These are the producers whose wines, perhaps not surprisingly, are always among the stars of any given vintage these days. It has been particularly exciting to see an increasing number of top-notch and even world-class white wines emerging from Paso Robles. While the nearby Arroyo Grande region has long been known for its impressive Chardonnays (for years, Talley has been on my short list of the New World’s best sources for the variety), it’s only in recent years that Paso Robles has become a source for whites than can compete, quality-wise, with its reds. I’d attribute that development to decreasing emphasis on Viognier, which in my opinion is not well-suited to the climate here as it ripens very quickly, often achieving super-ripeness but producing notoriously acid-deficient wines. Yes, there are exceptions, but in my experience the highs just do not outweigh the lows with this variety. Far more impressive are white blends that, like the aforementioned red blends, can be adapted to varying vintage conditions. Marsanne and Roussanne have shown great success here, as have Grenache Blanc and Clairette, the latter variety comprising the base for some of my favorite southern Rhône white bottlings. I’ve had some really good Vermentino (a.k.a. Rolle) and Ugni Blanc (Trebbiano) recently as well, and Picpoul Blanc is also gaining a foothold, albeit a tiny one. I tasted most of the wines covered in this article during my annual trip to the region in July. I followed up by tasting many more bottles in New York in the last few months.